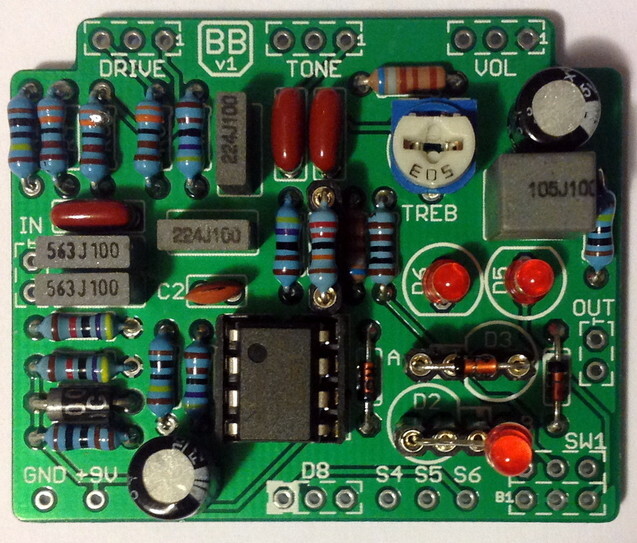 This kit includes all of the parts needed to build the GuitarPCB Blues Buster project. This circuit is based on the Marshall® Blues Breaker™. A few modifications have been made, including selectable clipping options, a Treble trim pot, and other minor tweaks to deliver the best tone. All of our kits include a jack for a DC power adapter but no battery snap. If you wish to add a battery snap, please add a battery snap kit to your cart in addition to the pedal kit. Please see what is provided in a kit? in our FAQ for more details of what is included and what you will need to provide to complete the project. 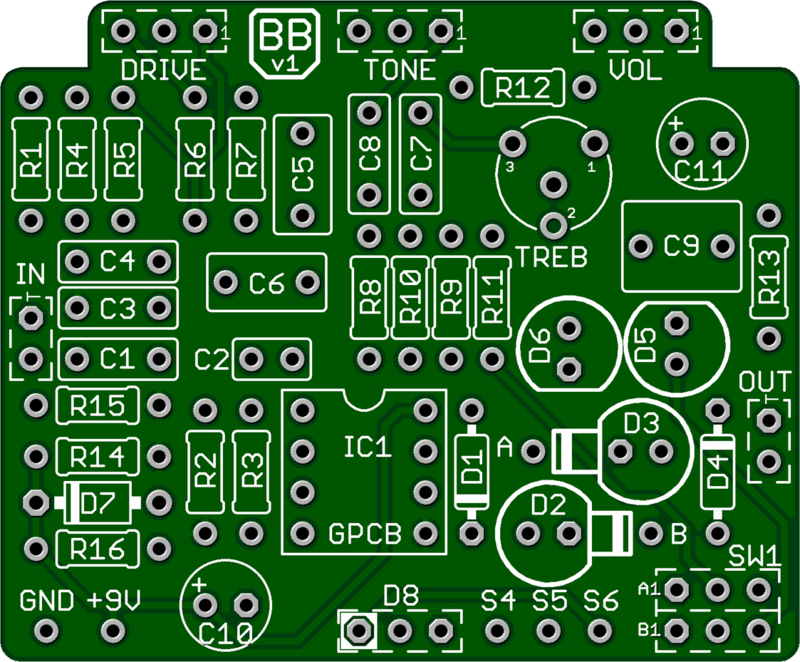 The second image shows what the circuit board should look like after you solder the parts on. Blues Breaker™ is a trademark of Marshall®. Marshall® is a registered trademark of Marshall Amplification. Pedal Parts and Kits is not associated with and makes no claims to these trademarks. See our FAQ for more details.